Hundreds of popular websites -- including Google, Facebook, Yahoo and Bing -- are participating in a 24-hour trial of a new Internet standard called IPv6 on June 8, prompting worries that hackers will exploit weaknesses in this emerging technology to launch attacks. "In the last five months, there has been a huge increase in DDoS attacks," says Ron Meyran, director of product marketing and security at Radware, a network device company that is not participating in World IPv6 Day. "IPv6 is going to be even easier for attackers ... because IPv6 traffic will go through your deep packet inspection systems uninspected." "With a DDoS attack, you need to reach 100 per cent utilization of the networking and security devices to saturate the services," Meyran says. The longer headers in IPv6 "must be processed completely to make routing decisions." "I wonder if there's going to be any sort of DDoS type of things going on ... or hackers probing servers that are dual-stack enabled [running IPv6 and IPv4 at the same time],'' says Jean McManus, executive director of Verizon's Corporate Technology Organization, which is participating in World IPv6 Day. "Content providers need to be careful and watch to make sure that everything is appropriately locked down." Many security threats related to IPv6 stem from the fact that the technology is new, so it hasn't been as well-tested or de-bugged as IPv4. Also, fewer network managers have experience with IPv6 so they aren't as familiar with writing IPv6-related rules for their firewalls or other security devices. "We know from security breaches that the security rules that allow you to see the network and applications better ... is where there is a lack of training and expertise with IPv6," Meyran says. "The new software is much more complex ... and there are much less programmers familiar with it." "This is a well-publicized event," says John Brzozowski, distinguished engineer and chief architect for IPv6 at Comcast, which is participating in World IPv6 Day both as a provider of IPv6-based cable modem services and as an operator of seven IPv6-enabled websites. "Anything can happen. IPv6 is no different than any other new technology. The potential [for attacks] is there. Protecting the network is key to us." Brzozowski says Comcast will be monitoring its network for signs of attack throughout the trial. "We're taking the necessary steps so that the Comcast infrastructure is protected," he adds. Juniper says that if its website comes under DDoS or other attack on World IPv6 Day, it will simply switch back to IPv4. "We can revert back to IPv4 in about five minutes," says Alain Durand, director of software engineering at Juniper, which is using its own translator-in-a-cloud service to IPv6 enable its main website for the day. 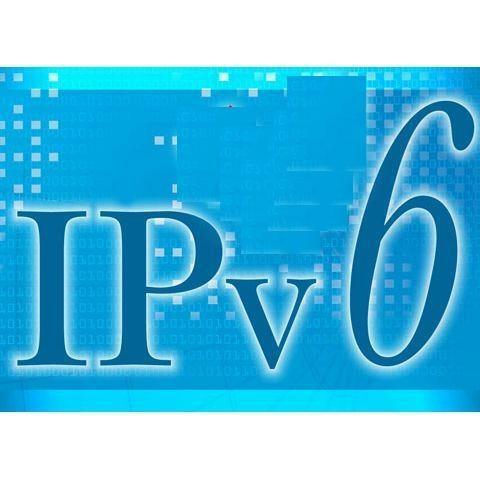 Akamai, a content delivery network with 30 customers that are participating in World IPv6 Day, says it isn't too concerned about hacking or DDoS attacks during the IPv6 trial. Radware's Meyran says hackers may be so clever that they won't attack websites on World IPv6 Day but will instead wait until these sites turn IPv6 on permanently. "The hackers will be very happy to see this day go successfully and that sites are starting to deploy IPv6 because it opens up new areas of attack," he predicts. That's why Meyran recommends network administrators who participate in World IPv6 Day follow up with an event focused on IPv6 security testing. "The next stage will be to ... run attack tools that simulate IPv6 attacks to make sure your firewalls are really seeing the network and that your intrusion protection systems can really do the deep packet inspection of IPv6 traffic," he says. World IPv6 Day is a large-scale experiment sponsored by the Internet Society that is designed to discover problems with IPv6 before the new protocol is widely deployed. DETAILS: What if IPv6 simply fails to catch on? The Internet needs IPv6 because it is running out of addresses using IPv4. The free pool of unassigned IPv4 addresses expired in February, and in April the Asia Pacific region ran out of all but a few IPv4 addresses being held in reserve for startups. The American Registry for Internet Numbers (ARIN), which doles out IP addresses to network operators in North America, says it will deplete its supply of IPv4 addresses this fall. One major stumbling block for IPv6 deployment is that it's not backward compatible with IPv4. That means website operators have to upgrade their network equipment and software to support IPv6 traffic.